The most significant problem student pilots face when learning to fly, is the weather. 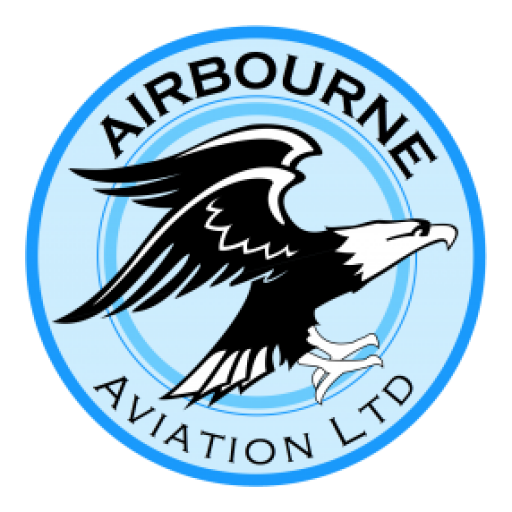 AirBourne Aviation is unique when it comes to all-weather flight training having installed the world’s only, Comco approved, Ikarus C42 As – flight training simulator located at Popham airfield. Our incredibly realistic synthetic training aircraft is an invaluable teaching tool, helping you to progress quickly through your flight training. Mounted on a three-axis motion base with immersive high-definition screens and a complete fully replicated working cockpit, this is as close as to flying a real Ikarus C42 A – without taking to the skies and at a fraction of the regular aircraft training cost. Developed and engineered by our in-house software and hardware team ‘AirSIM,’ our simulator features, amongst other engineering firsts, accurate and advanced flight dynamics, stunning HD graphics, full student/instructor communication and the ability to review your flight in real time. 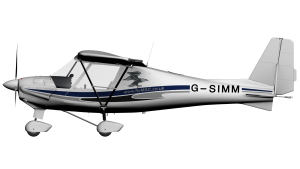 Available for use as part of your flight training, the unit can also be used by student pilots on a solo basis to practice their skills and develop a better understanding of safe flight principles. 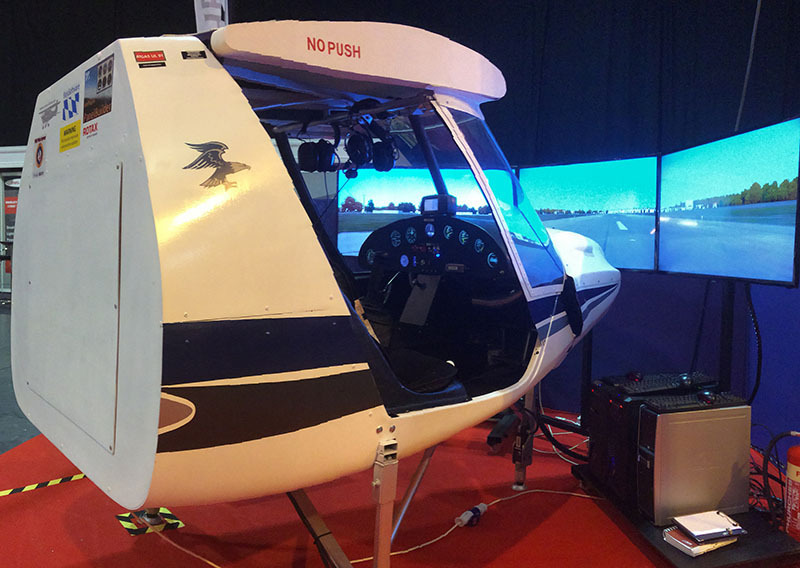 You can even hire our simulator, and with no age restriction, it is an excellent way for young pilots to safely take the controls and discover the thrill of flight making for a fun birthday party venue with your guests able to push the limits of controlled flight. 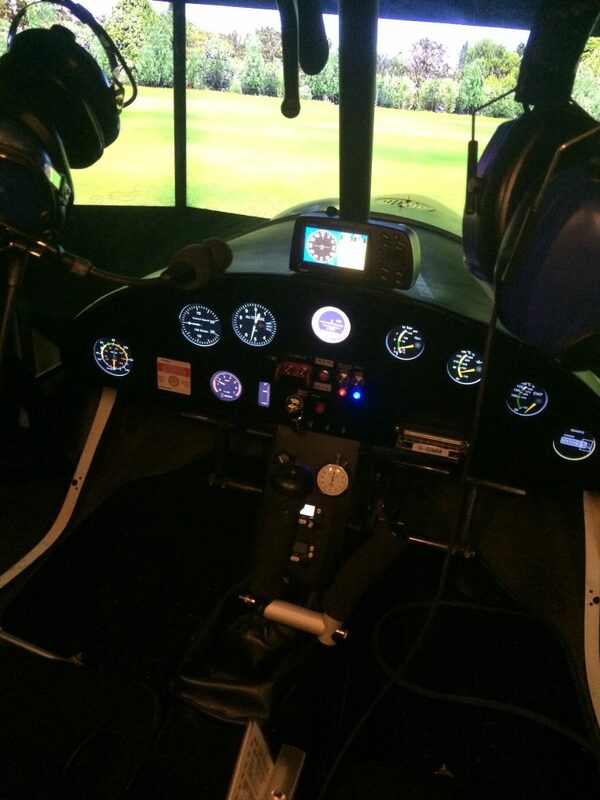 For those that just want to experience the thrill of flying while keeping their feet on the ground, our simulator is a fantastic experience for young and old alike. Simulator gift vouchers are available to purchase either for use by yourself or as a fantastic gift for friends and family. Fully qualified flight instructors are on-hand to conduct simulator flights.